I you want a fast fishing kayak to cover longer distances and don't want a sit in kayak then the RTM Tempo Angler is for you! The RTM Tempo Angler is an iconic kayak in the UK fishing scene. 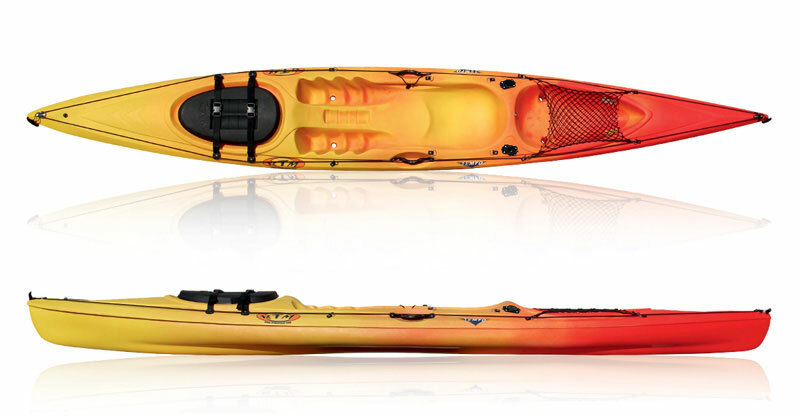 It is regarded as one of the fastest plastic sit-on-top kayaks on the market. It is designed for speed and performance with its hull shape almost identical to the now discontinued Ocean Kayak Scupper Pro. This hull shape is very popular with kayak anglers looking for speed and performance over width and stability. The touring hull and low seating position gives fantastic performance in the big sea conditions that can often be found around the UK. The RTM Tempo will punch through chop, ride over swell and cut through wind effectively meaning that you can reach those fishing marks that are further afield. 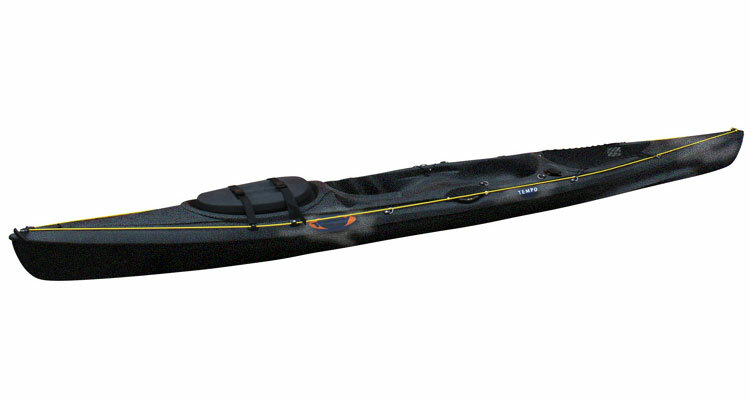 The stealthy looking Black Tempo is the kayak of choice for Team RTM UK. The relatively bare hull design gives a blank canvas in terms of rigging. A fish finder, extra rod holders and more can easily be fitted. 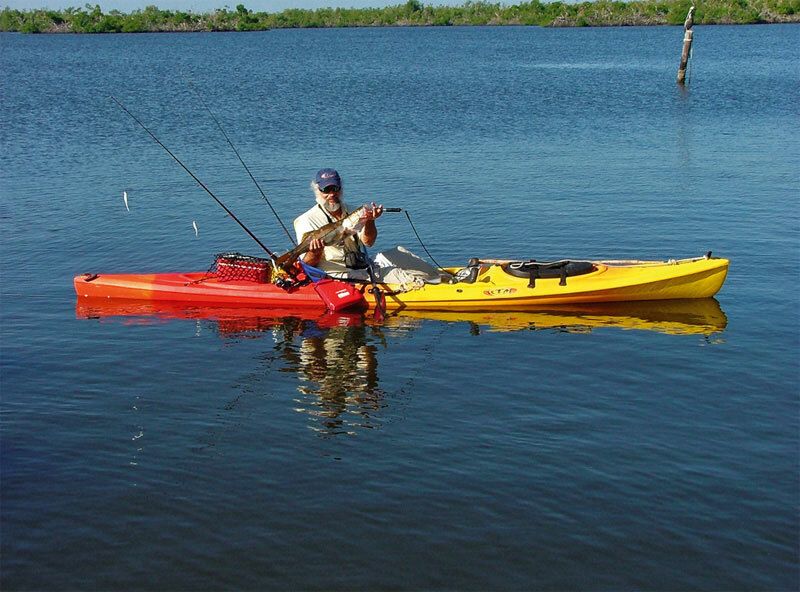 Most kayak anglers find the Tempo easily car-toppable single handed; unlike most other kayaks of this length which are too heavy for one person to load on to a roof rack. 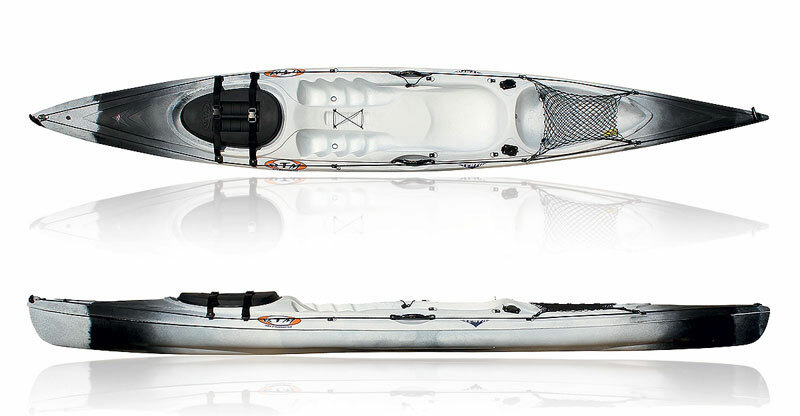 The RTM Tempo also makes a great sit-on-top touring kayak for those wanting to do long trips without going down the sit-in kayak route. The large hatch will easily take a kayak trolley and plenty of gear. We offer a delivery service for the RTM Tempo Angler throughout the UK & Ireland to home and work addresses. If you are local to our shop in Hamworthy, Poole then we may be able to deliver a RTM Tempo Angler with one of our own vehicles. For boats, this is free to most BH Postcodes - please call us on 01202 625256 to discuss your requirements. Buy a RTM Tempo Angler online from our website and collect from our shop in Hamworthy, Poole or you can collect from any branch within the Canoe Shops Group. There is no cost associated with instore collection.